Did you know that in addition to making your home brighter and more appealing, remodeling your bathrooms is one of the best ways to increase the value of your home? 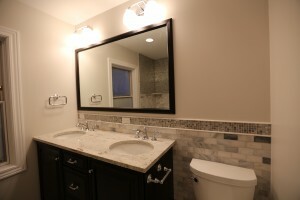 A newly remodeled bathroom can bring a 50­% – 75% return on the initial investment. Even smaller, less expensive, bathroom remodels often bring higher returns.